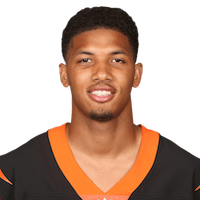 Published: Dec. 16, 2018 at 01:41 p.m.
Cincinnati Bengals wide receiver Tyler Boyd takes a quick slant in for 7-yard touchdown. Published: Nov. 25, 2018 at 03:28 p.m. Published: Oct. 28, 2018 at 02:13 p.m. Published: Oct. 28, 2018 at 02:03 p.m.